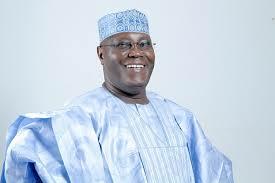 The Peoples Democratic Movement, PDM has called on Former Vice President, Alhaji Atiku Abubakar to contest the 2019 Presidential elections. The PDM made the call in a statement issued in Enugu, signed by the PDM Promoter in the South East, Dr. Haroun Ajah and made available to LEADERSHIP. Parts of the statement read, “Leadership is a trust on behalf of God and the people, therefore, we expect from the Presidency of Alhaji Atiku Abubakar come May, 2019 to run an all inclusion government and administration in Nigeria where Ndigbo will equally be at the commanding levels of Federal Government Authorities and Agencies. “I implore the National Caretaker Committee of PDM party and the Grand Guru Baba PDM, Ibrahim Gusau in particular to work very hard to ensure that people with respect, courage, commitment and integrity emerge as Leaders of the Peoples Democratic movement, PDP party in the forthcoming congresses and National convention. “I call on the former Vice President Alhaji Atiku Abubakar, Turakin Adamawa to contest the next general elections. We are aware that the Turakin Adamawa is not a member of PDM party but certainly we all in the South East Nigeria and beyond will give him full support and cooperation on any platform, he Turakin Adamawa may wish to contest the next general election as President of the Federal Republic of Nigeria”.